Supercharged Pond Bacteria PULSE is scientifically blended and tested to ensure maximum results in water gardens, koi ponds, and lakes. Supercharged Pond Bacteria PULSE contains pro-biotic microbes, enzymes, and electrolytes that work in symphony to reduce sludge, uneaten fish food, fish waste, and other excess nutrients that cause poor water quality and clarity. 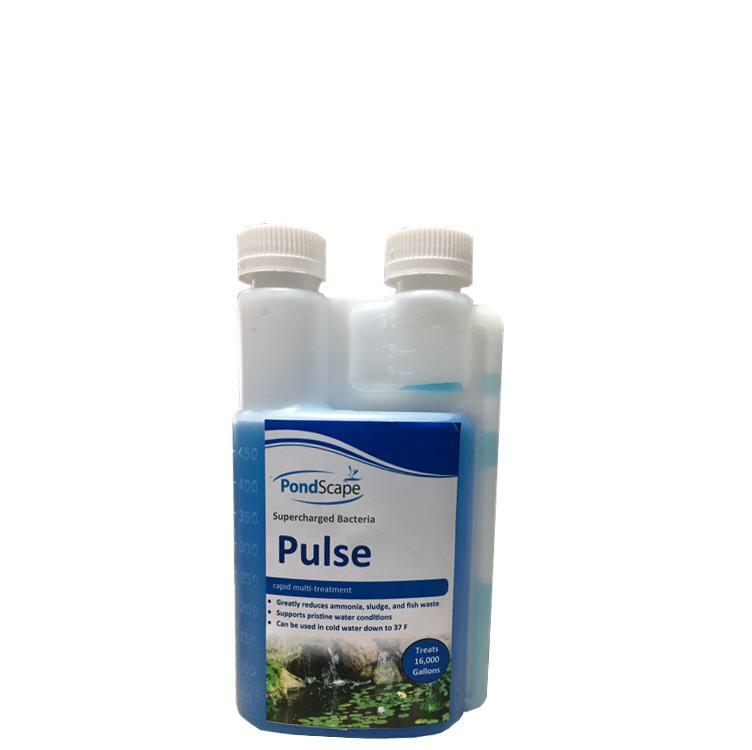 PULSE contains 4 times the concentrate of other popular “fix” formulas as well as an added flocculant for clearing water and a quick shot of debris remover! All conveniently formulated into one treatment. One ounce treats 1000 gallons.